Why Can’t the Koala Bear Live in America? The koala is a small mammal that looks something like a cute little teddy bear. It lives only in Australia, and even if a few of these animals were brought to America, they wouldn’t live very long. 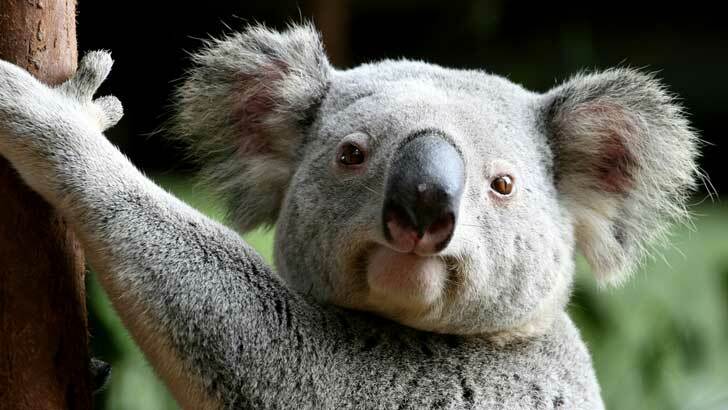 The koala can eat only the leaves of the eucalyptus tree, which grows almost entirely in Australia. The koala spends most of its life in one of these trees, nibbling on the leaves and buds of the eucalyptus, and even if a koala is very hungry, it won’t eat anything but eucalyptus. The eucalyptus tree provides the koala with not only its food, but its water as well, so the koala never takes a drink of water in its entire life. Where do Koala Bears Live and Why are they not really Bears?